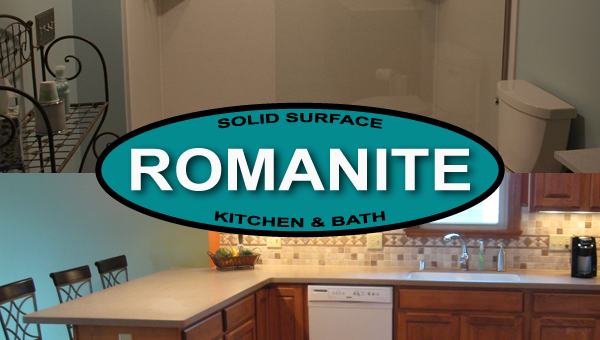 ROMANITE is a strong, smooth solid surface material resistent to stains and spills. ROMANITE brings elegance to kitchen countertops, bathroom vanity tops, shower pans, tub and shower surrounds, tub and shower accessories, shower caddies, window sills, tile pans, and ready-made tile pans. ROMANITE offers an array of patterns and colors for your design needs.